President Trump said Thursday that he agreed to delay the State of the Union address because Speaker Nancy Pelosi (D-Calif.) was "actually reasonable" in her request to reschedule the speech, despite his previous protestations. United States President Donald Trump says he has reached a tentative agreement with US politicians for three weeks in stop-gap funding that would end a partial government shutdown, now in its 35th day. A senior Democratic aide said money the President demanded for a border wall was not included. The President had previously insisted on the inclusion of $US5.7 billion to help pay for a wall along the vast US-Mexico border in any legislation to fund government agencies. "I am very proud to announce today that we have reached a deal to end the shutdown and reopen the federal government," Mr Trump said at the White House. "In a short while, I will sign a bill to open our government for three weeks until February 15. "I will make sure that all employees receive their back pay very quickly, or as soon as possible." With the effects of the shutdown spreading, Mr Trump said a bipartisan congressional conference committee would meet to come up with a plan for border security. Mr Trump triggered the shutdown, which began on December 22 and idled some 800,000 government employees, with his wall-funding demand but Democrats, who control the House of Representatives, rejected it on the grounds that a wall would be costly, ineffective and immoral. Mr Trump, whose Republicans have a majority in the Senate, has said it was necessary to curb illegal immigration and drug trafficking. Paul, though, stood squarely with Trump. When politicians quote "god" as their crutch for "their" policies, they are dead meat, in Gus' book. 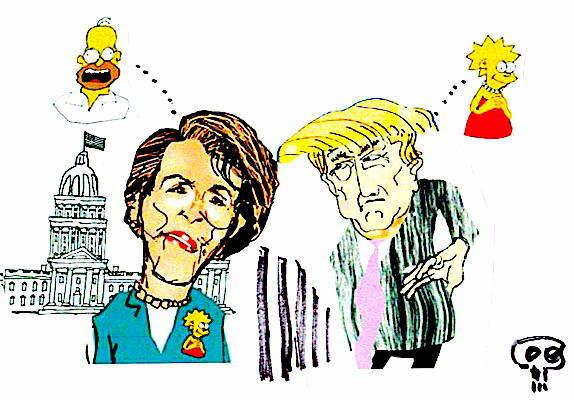 Pelosi or Trump are such, except that, most likely, Trump does not believe an ounce of religious pocus, but he lets people think he believes in the hocus to get votes... Pelosi is a more religiously-minded nut. Stephen? Yes?... NO! Trump's behavior is right on song for people who have been raised by (or laughed at) the US/Canadian comedy crappy shows, including Sesame Street. She's dealt with the topic cautiously in the past as it carries the potential to sharply split Democrats and the public ahead of next year's presidential and congressional elections. Look no further than Congresswoman Rashida Tlaib, one of the new wave of progressive Democrats that were swept into power at the 2018 midterms, who left no doubt where the priorities of her wing of the party lie. "We're going to impeach the motherf*****," she told a crowd just hours after she was sworn into office in November. Something that might deliver the overwhelming and bipartisan reason Ms Pelosi wants is Special Counsel Robert Mueller's investigation into Russian interference at the 2016 presidential election.